Tony Smith, DC, is a chiropractor and founder of Dynamic Health, a holistic healthcare facility in Coeur d’Alene, Idaho. He became fascinated with alternative medicine while attending the University of Kansas after he was dramatically healed from a chronic disabling condition. He realized then that he wanted to pursue a career in natural healing. Immediately after graduating from KU, Dr. Smith enrolled at Cleveland Chiropractic College, where he received his Doctor of Chiropractic degree in 1980. 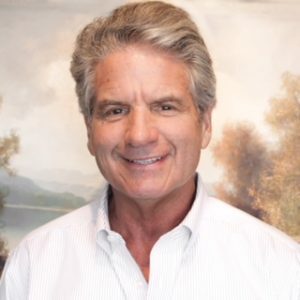 During his 38 years of practice, Dr. Smith passionately studied and practiced a wide range of progressive natural-healing methods. This enabled him to become successful at treating chronic, difficult health problems. His accumulated knowledge and wealth of clinical experience eventually inspired him to develop and teach several profound healing techniques. They include AllerTouch, CranioBiotic Technique (CBT) and, most importantly, LymeStop. LymeStop is the product of Dr. Smith’s research with hundreds of chronic Lyme disease patients. Thus far, this all-natural technique has helped more than 4,000 Lyme sufferers worldwide. Dr. Smith is a member of the American Chiropractic Association, the Idaho Association of Chiropractic Physicians, and the Christian Chiropractors Association. Dr. Smith was one of the ten top doctors highlighted in Connie Strasheim’s book New Paradigms in Lyme Disease Treatment: 10 Top Doctors Reveal Healing Strategies That Work.